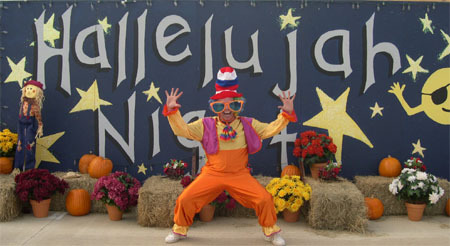 Hallelujah Night is a Christian alternative to what the world calls “Halloween”. It’s free, free, free! Everyone is invited to come and enjoy the food, fun, and fellowship, but only children 12 years old and under can register and participate in the games. Every child that comes will win lots of candy and prizes by playing the various games we have to offer. We would love for you to come and help us take over and turn a traditionally evil night into a night of rejoicing and celebration for the glory of God! Click here to print a registration form that you can fill out and bring with you to help speed the process at the registration tables.